Coconut milk pulao || Thengai paal sadam is prepared with coconut milk. Adding fresh coconut milk gives taste to the pulao. 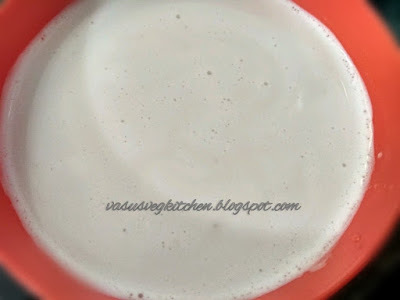 I prefer using fresh coconut milk instead of canned coconut milk. We can also prepare simply by adding coconut milk and few spices ( without veggies) or with vegetables and mint. Todays my recipe is using vegetables and mint. Adding mint adds good flavour and taste to the pulao. Also i like to add raisins to the pulao, as my hubby like it, and it's tastes good too 😄. 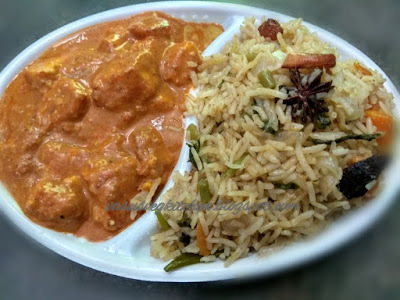 You can have this pulao with any raita or with paneer gravies or with any special veg gravies. check for Paneer butter masala , Khova paneer . Lets start coconut milk pulao..
* Cut fresh coconut into small pieces or take scraped coconut in a mixer jar and make it fine paste by adding little water. * Take a stainer and extract coconut milk, we are using only coconut milk. 1) Firstly soak basmathi rice for 20 minutes. 2) Take a kadai add 2 tsp ghee, cardamom, cloves, Cinnamon, bay leaf, star anise. Saute it till u get good fragrance. 3) Now add green chilllies onions and fry it tell onions changes to light golden color. 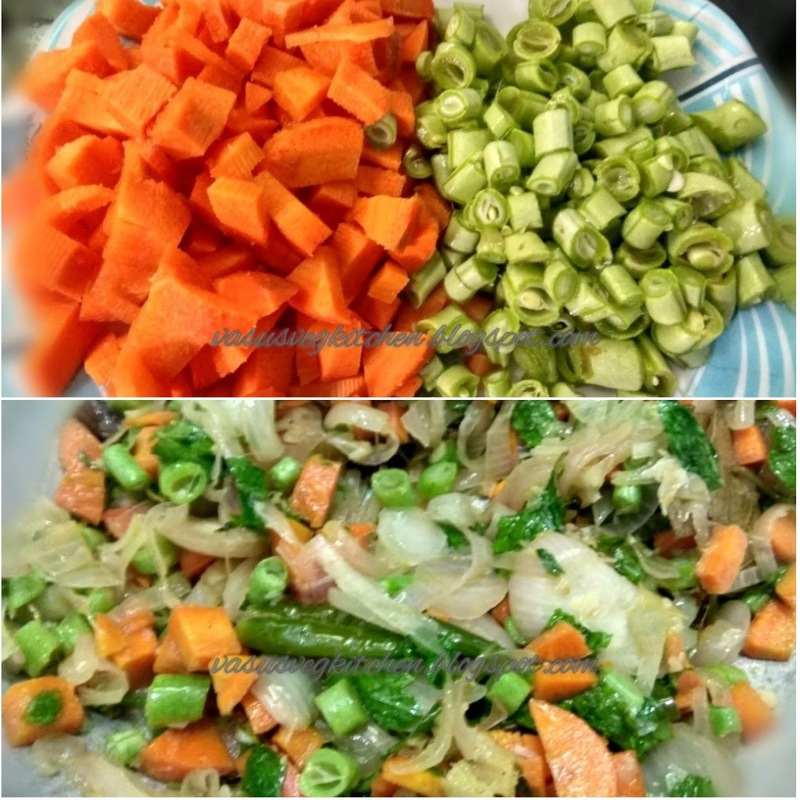 4) Add chopped carrot and beans saute it then add pudina leaves and stir it. 5) Add ginger garlic paste, stir it till raw aroma of ginger and garlic goes away. Close the lid for few minutes, so that veggies will cook. 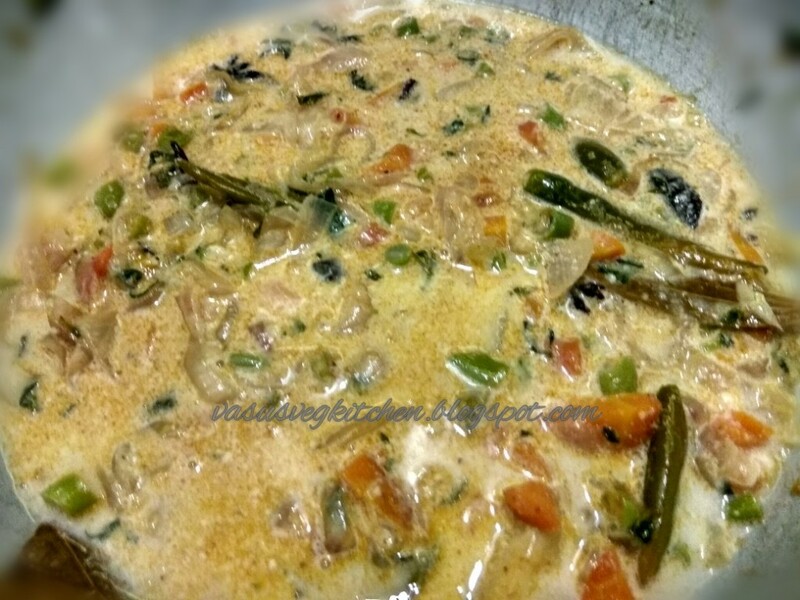 6) Now add coconut milk stir it. 7) Add finely chopped coriander leaves, time to add soaked basmathi rice. Mix the rice gently by adding salt. Close the lid and cook it for 15 minutes on low flame. 8) Take a small kadai, add 1/2 tsp of ghee roast cashew nuts and raisins one after other and take it into plate. 9) Now open the lid, add roasted cashew nuts and raisins and mix it gently. 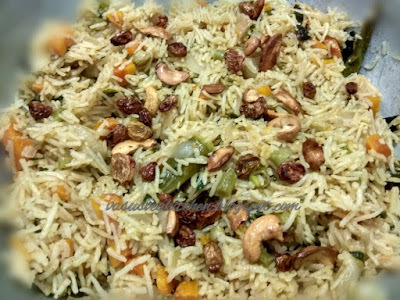 Yummy and tasty coconut milk pulao is ready. I garnished it with cucumber and had with Paneer butter masala 😋😋😋. 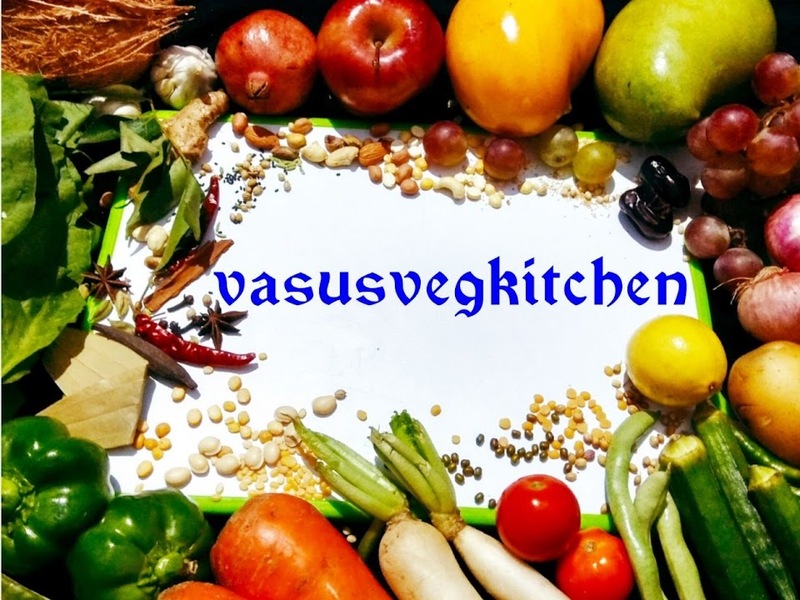 ◆ You can also use normal rice instead of basmathi rice. ◆ you can fry cashew nuts in step 1 instead adding at last. Adding raisins is optional. ◆ You can skip adding mint/ pudina or add while serving. ◆ You can also prepare pulao in pressure cooker. Then soak rice for 10 minutes. ◆ You can also add green peas/mattar if available. You can also use frozen peas. ◆ You can also add biryani powder if you like it. 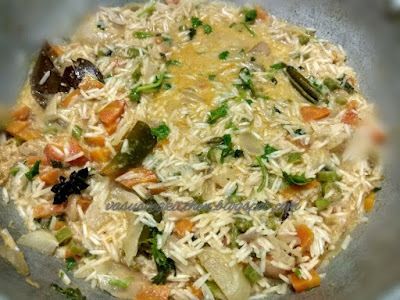 ◆ You can also skip veggies, if you like to have plain coconut milk pulao. ● Use fresh coconut to get good taste. ● Use fresh ginger-garlic paste it gives good aroma. 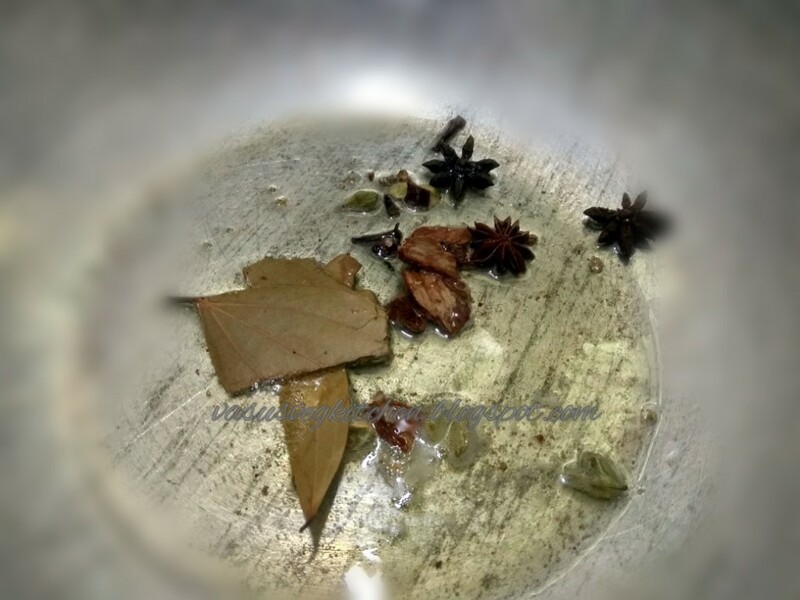 Just take garlic cloves and ginger pieces crush it smoothly by using small stone or by using pestle and mortar. 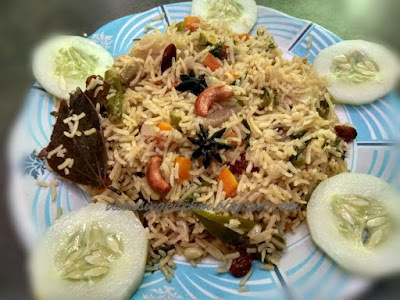 ● Mix basmathi rice gently to get good texture. Looks yummy. I will try today.